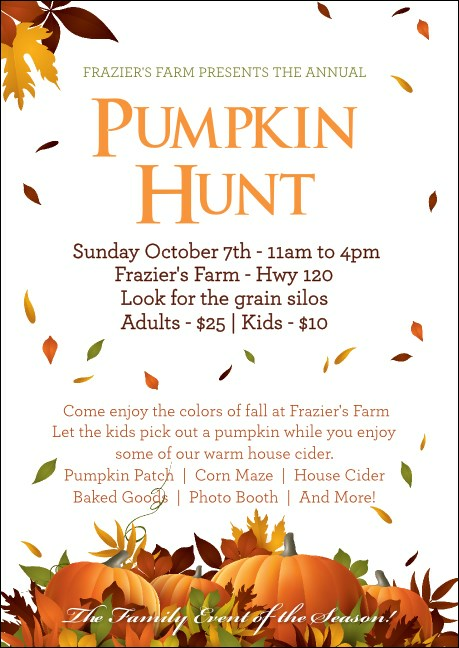 Fresh and autumnal, the Pumpkin Patch Postcard Mailer is excellent for promoting fall events! Colored leaves drift across a white backdrop, drawing the eye to your gathering’s particulars and settling amongst ripe orange pumpkins along the bottom. To send to your prospective attendees, simply customize to your needs and upload your mailing list! Shop lots of seasonally themed postcard mailers at TicketPrinting.com.